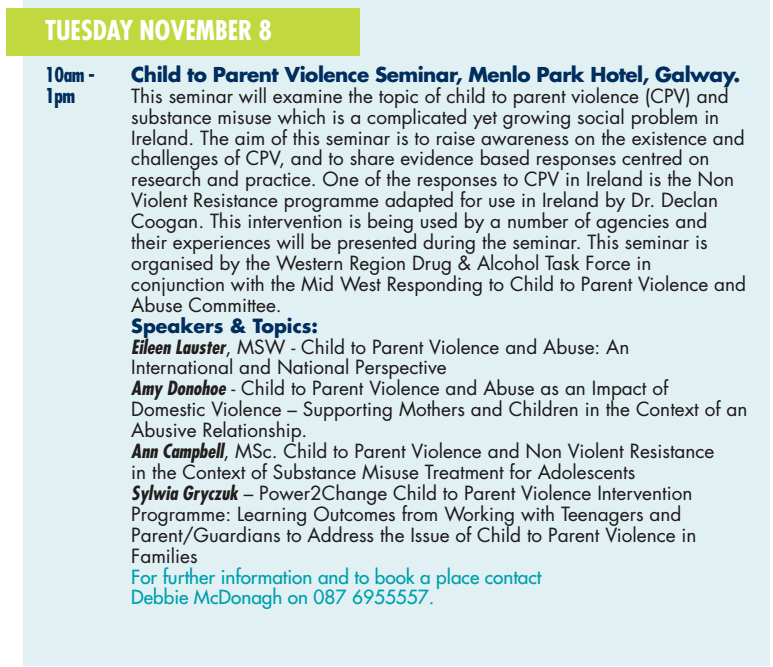 The WRDATF Child to Parent Violence and Abuse Training for the 1st and 2nd of March 2017 is fully booked out. There is a chance that this training will be offered again later in the year. Please follow the link below to complete the General Training Booking Form and return it to WRDATF who will follow up with those on the list. The conference theme is “this is how we do NVR“ – with a special emphasis on showing and sharing practices from our daily work, methods, and ideas and the bridge from NVR to attachment, mentalization and the involvement of the child, adolescent and family and other important systems. 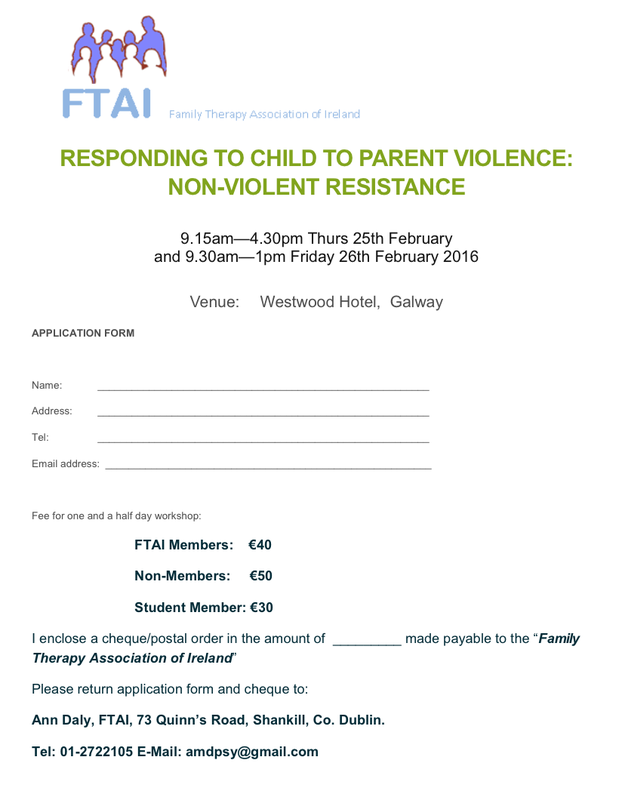 Register now for the Family Therapy Association of Ireland (FTAI) organised training on Child to Parent Violent and the Non-Violent Resistance programme. 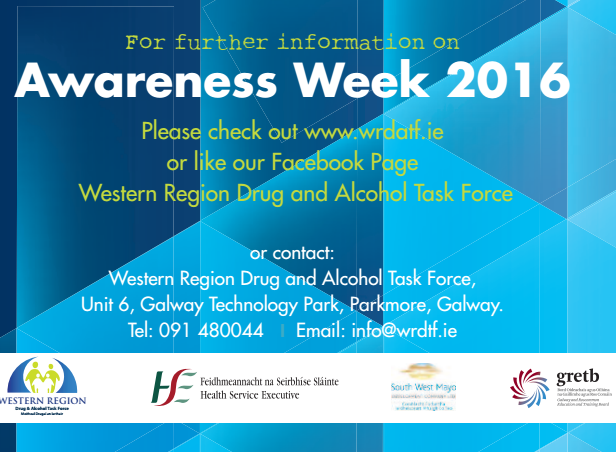 Registration Form for Training in Galway on the 25th and 26th of February 2016. Register now to secure your place. 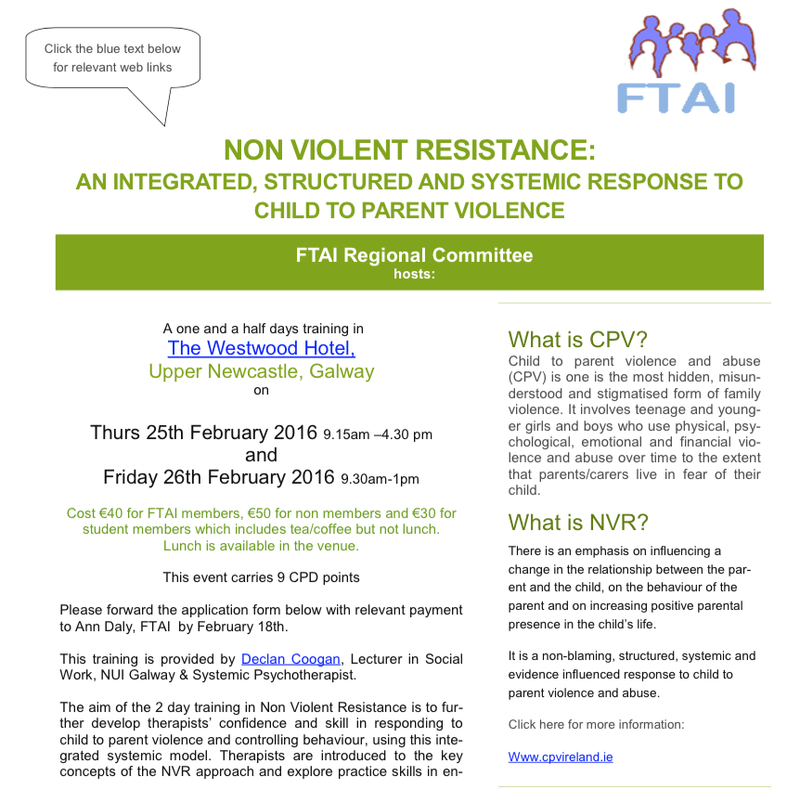 Since the RCPV Project ended in January 2015 five more two day trainings in CPV and NVR have taken place in Ireland. The trainings were held in Dublin, Donegal, Kildare and Galway. Many more practitioners are now aware of CPV and can use NVR to assist their clients. The end of project reports and research findings are now available on the www.rcpv.eu/resources website. A selection can also be found on this website. More information on the International Training Programme in Non Violent Resistance and New Authority in Israel from the 6th-12th October 2015 can be found on Haim Omer’s website here. There will be training in the Basic and Advanced Module. Thanks to the colleagues, practitioners and families who were involved with and supported the Daphne EU co-funded Responding to Child to Parent Violence Project 2013-15 which is now complete. The practitioners handbooks/ toolkits, the research questionnaires and the reports produced as part of the project will soon be available to download at www.rcpv.eu and this website. Thanks again! The RCPV Child to Parent Violence: European Perspectives Conference is on the 28th and 29th January 2015 in Brighton England. More information can be found on the Brighton RCPV Conference page of this website or go to the project website www.rcpv.eu for more information.